Wow! 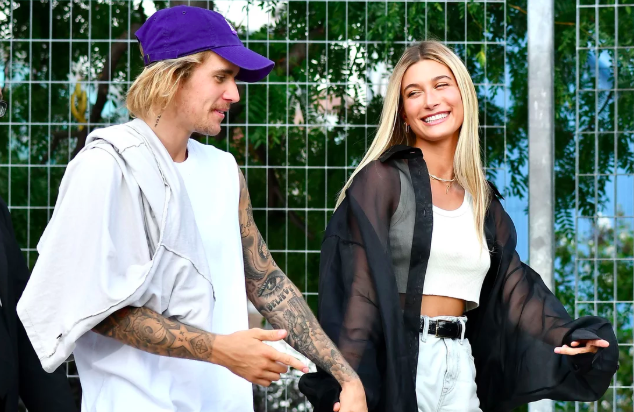 It’s been a whirlwind summer for so many of our favorite celebrity couples, as the likes of Pete Davidson and Ariana Grande, Priyanka Chopra and Nick Jonas, and of course Justin Bieber and Haley Baldwin were engaged. Fan wondered when the stars were going to tie the knot, and in the case of Justin Bieber and Haley Baldwin, the answer, it turns out, was this Thursday! The couple were officially married quietly at a courthouse at the Marriage Bureau in New York City, with plans to have a religious and more festive occasion very soon. Bieber and Baldwin were 24 and 21 at the time of their marriage, respectively. TMZ also obtained photos of the couple leaving the courthouse, which can be seen below. Of course, given the shadowy nature of TMZ, and the every finicky nature of sources, and no official confirmation from both parties, it might all be a misunderstanding. However, it certainly means that they got married, doesn’t it? Oh no! What does this mean for all of the Beliebers hoping Justin Bieber will give them a longing look?! Now they would be… homewreckers! And what does this mean for the Baldwins!? Can the alliance between these two powerful families truly be? We’ll have to see I guess… wait and see. What do you think though of both the concept of true love, secret weddings, and the secret wedding between Justin Bieber and Haley Baldwin? Let us know in the comments or on Twitter at @WhatsTrending.